In Ottawa County, parking for the trail is located on 8th Avenue near Marne and on Sehler Street near Conklin. This Map shows amenities, parking areas, features and trails. 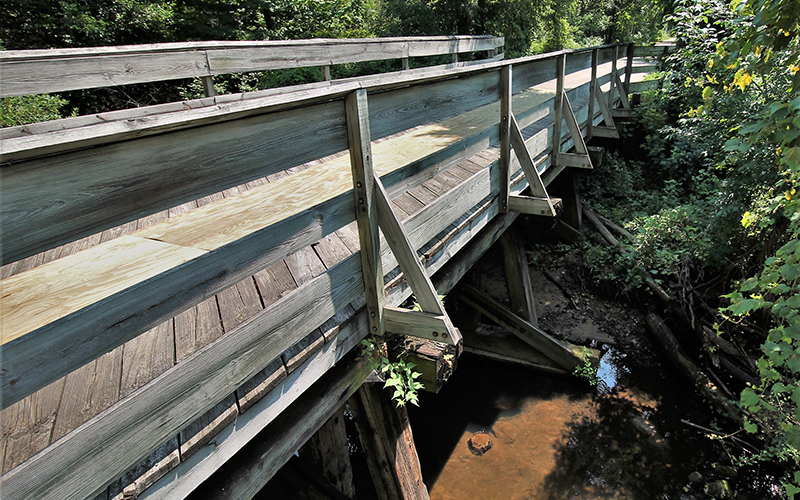 The Musketawa Trail is a 12 foot wide, all-season path constructed on an abandoned rail line between Marne and Muskegon. 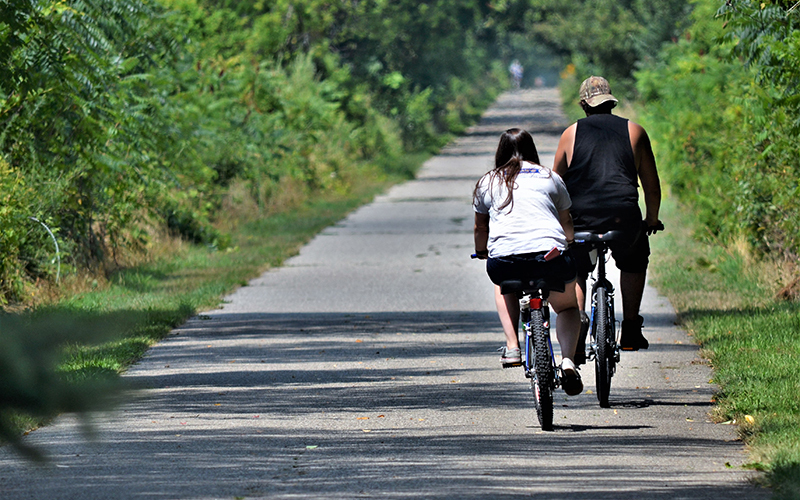 Ottawa County Parks manages 10 miles of the 26 mile trail between April 1 and November 30. For more information, visit www.musketawatrail.org. A brochure is also available. Snowmobiling is allowed only when trails conditions have been approved. Contact Oscar Reed-the West Shore Snowmobile Council rep at (231) 744-5731. Conditions are often posted at the Michigan Snowmobile Association. The Musketawa Trail is open year 'round. Please note that the parking area is not plowed in winter. 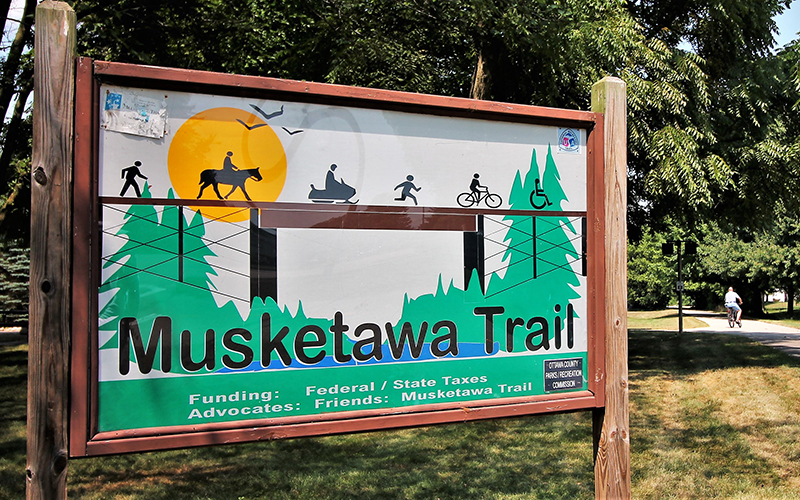 There are no fees to use the Musketawa Trail. Dogs are not permitted off-trail.